Final Hours Of Dust and Blood! 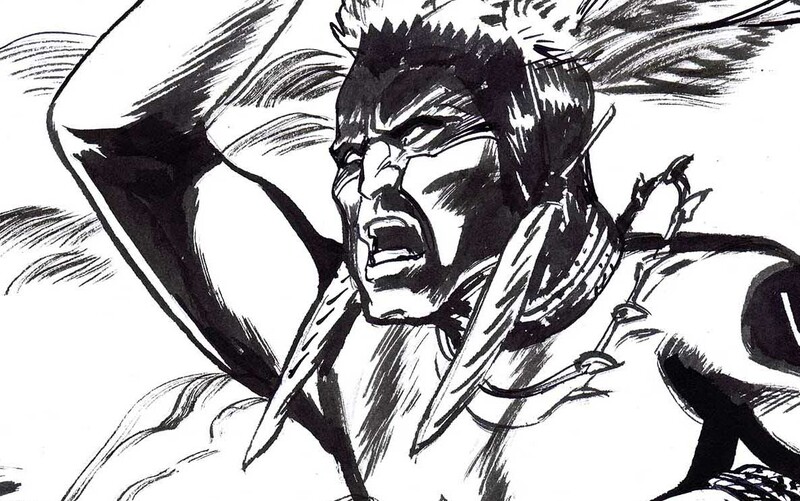 Today is the final countdown for backing Of Dust and Blood by Jim Berry and Val Mayerik. The original graphic novel is funded, so backers are guaranteed a book, but the Kickstarter has a stretchgoal for getting the book in full watercolor by Val! I did the drawing below to support the cause and the original is currently available as one of the pledge goals. India Ink on Bristol paper, 22″ x 13.5″. Please consider contributing to the project. Thank you! 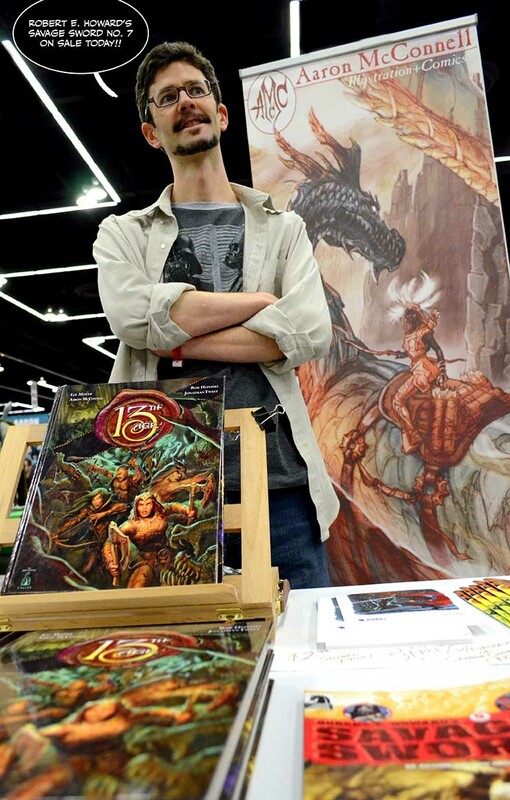 Stepping Out: I left Portland a couple weekends ago to meet my dad in San Diego for the Reuben Award weekend, and the days have just been ticking away since then. I think meeting and just sharing the room with so many legends in cartooning set my brain on fire and it’s still smoldering. 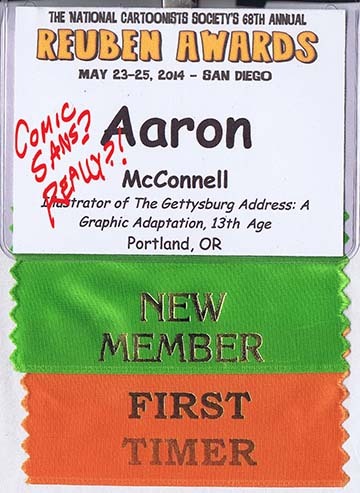 I “talked shop” with Sergio Aragonés and Russ Heath, shook hands with Mel Lazarus and Rick Geary, just to name a few. 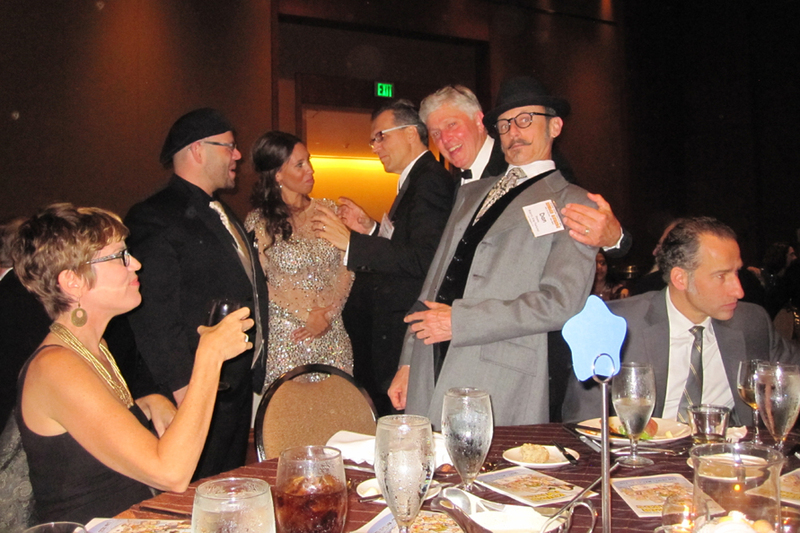 Here’s a picture of my dad with some of the cartoonists at our table during the award ceremony. Can you spot a Dan Piraro or a Matthew Diffee? I’d like to do a thorough report of my experience. It really was a remarkable weekend, but I’m going to have to put that on the back burner for the time being. 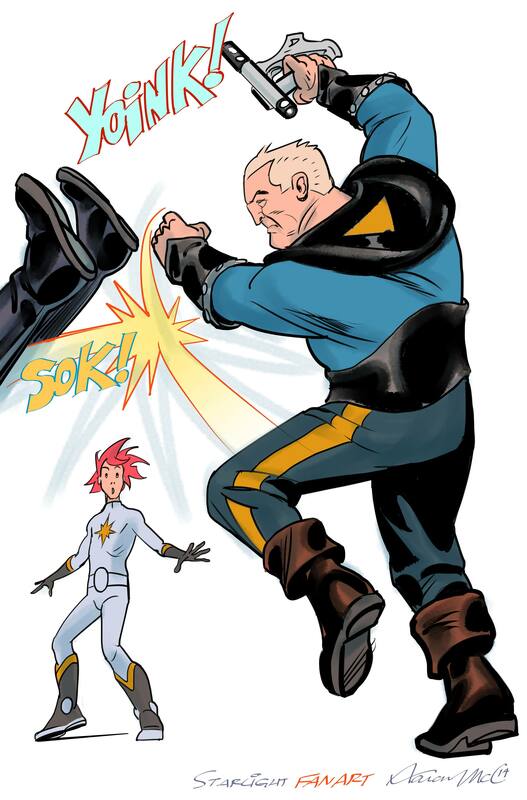 Kicking In: I would like to direct the attention of anyone in the industry to the National Cartoonists Society because they are looking to expand the roster of qualifying members. There are new perks for being a member that are in the works. That’s right, “Perks in the Werks!” You can find out everything you need to know about joining at the newly renovated website HERE. 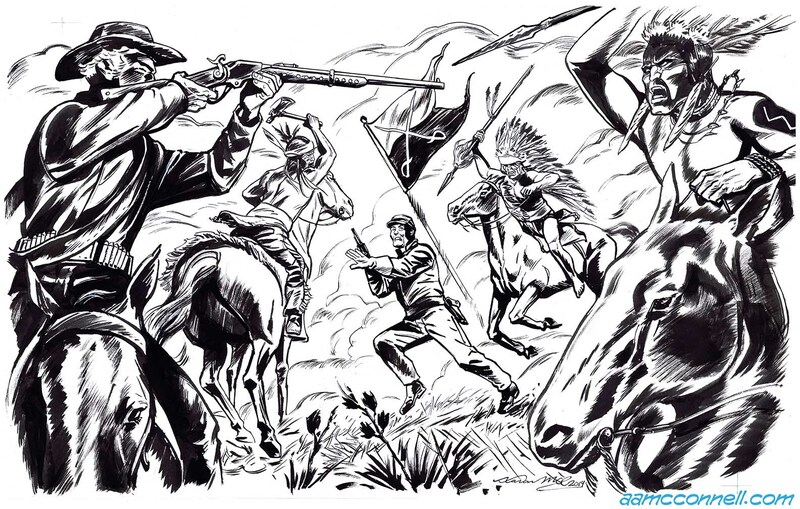 Kicking In: I recently contributed to a Kickstarter that my friend, photographer, comic book collector, and comic book writer Jim Berry is running to fund the production of a thrilling graphic novel about The Battle Of The Little Big Horn (Greasy Grass) featuring art by legendary illustrator, Val Mayerik. 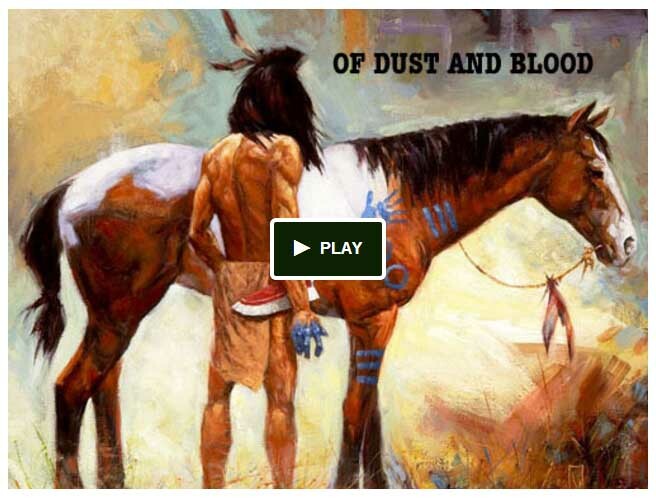 Please take a look at the Of Dust and Blood Kickstarter and consider pitching in to make this book a reality.